HTC’s Puccini Tablet Will Sport the First Fully Skinned Version of Honeycomb? 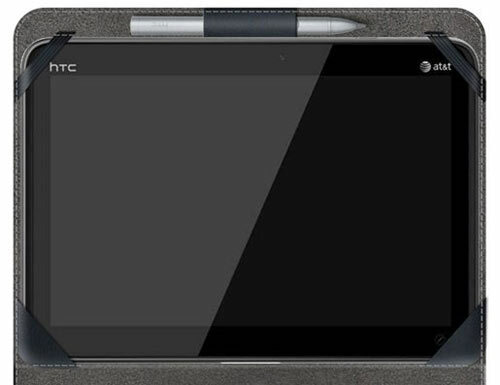 The HTC Puccini tablet has been somewhat of a mystery to this point, other than the fact that we’re all pretty sure that it’s headed to AT&T as one of their first LTE devices. Today though, we get a glimpse at HTC’s plans to be the first OEM to fully skin Honeycomb. Yeah, I know what you are thinking, “Noooooooooooo! Can’t we at least have untouched tablets?” To their defense, at least on phones in the past, they have been one of the more polished and stable skins in the game, so we’re at least a little interested in seeing what they can do. We’ve heard some pretty positive things about the tablet version of Sense that is on the Flyer, so we’re hoping they have found a way to do this right as well. My thoughts on skinning – A part of me wants to at least see what these OEMs can bring to the table. Honeycomb to me, feels pretty bare bones, so I wouldn’t mind seeing some add-ons as long as they aren’t overwhelming like they have been on phones. For the most part, I hate the skinning of Android, but 3.0 seems like it could use a little sprucing. Maybe? Gallery below. And let us know what you think about the skinning of Honeycomb.